Quality build with attention to details! 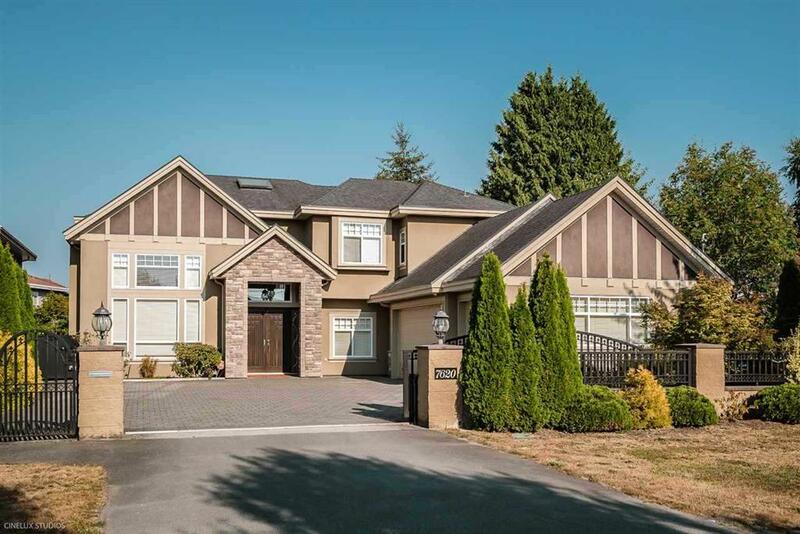 Almost 8000 sqft lot with approximate 4,000 sqft of 5-bedroom home (4 ensuited bedrooms up and 1 down). LEGAL SUITE with separate entry and alarm system plus own laundry ! Quality European construction with Air Conditioning and Water floor radiant heat! Triple garage, electric gated, crystal chandeliers, granite flooring, massive granite working island. walk distance to elementary school and blundell shopping centre. Quiet tree-lined curbed street. No ditches and friendly neighborhood. Open House April 20th(Sat) 2-4PM. PL NWP20369 LT 16 BLK 4N LD 36 SEC 24 RNG 7W.